The answer is simple. Plants are an adequate protein source when consumed in varieties. Protein, carbohydrates and fat are the three essential nutrients for life. Your body requires them in large amounts, giving them the name, macronutrients. Though most often thought of as the nutrient for muscle growth and repair, protein also plays a vital role in building and maintaining all organs and tissues. Proteins give structure to every cell in your body, including those of your blood, bones, muscles, cartilage, and skin. Proteins also perform a variety of vital activities in the form of enzymes, hormones, and antibodies. Your body continually breaks down and replaces proteins. How Do We Use the Protein We Eat? While thousands of proteins exist in your body, they are all made by the strategic combination of just twenty amino acids. Amino acids are the individual molecules of each protein linked into long chains in varying combinations called peptides. When you consume a protein food source, your body breaks down this original protein into its amino acids and re-combines them into the proteins your body needs. Of the twenty amino acids required by the body, we call eleven of them “non-essential” because the body makes them and they are not essential to your diet. The remaining nine are “essential” and you must get them from the food you eat. Meals centered around plant-based proteins contain more fiber, vitamins, minerals, healthy fat, phytochemicals, and antioxidants – and less unhealthy fat, cholesterol, sodium, hormones, and antibiotics than meals made with meat. While plant proteins are healthier than animal-based alternatives, there are two considerations to a plant-based protein diet. Proteins digest at different rates. Because plant proteins break down slower than animal proteins, as a vegan, you may need more protein than the recommended dietary allowance. The bigger challenge stems from the fact that plant-based and animal-based foods vary in their essential/non-essential amino acid proportions. Animal proteins such as meat, poultry, fish, eggs, milk, and cheese contain all your essential amino acids, making them complete/high-quality. Most plant proteins are incomplete/low quality, as they have an insufficient quantity of one or more essential amino acids. When one or more essential amino acids are missing, the existing amino acids cannot carry out their intended function. Does this mean you won’t get enough protein with a vegan diet? Absolutely not. Let’s look at a few complete plant-based proteins and how to combine the others to get all twenty essential amino acids into your diet. While most plant-based foods are incomplete proteins, a handful of vegan proteins do exist. Hemp, quinoa, buckwheat, chia seeds, and soy pack a punch with all nine essential amino acids. While it’s wonderful these complete vegan proteins exist, you need not limit yourself to them. To compensate for amino acid deficiencies in most plant-based proteins, simply eat a variety of plant-based foods throughout the day. The amino acids from each food source will combine to form “complementary proteins” and together provide adequate amounts of essential amino acids. The missing amino acid lysine from rice is found in dry beans, and the amino acid methionine missing from dry beans is found in rice. So, the popular meal of “rice and beans” provides all the amino acids your body needs. While you need not combine the protein sources at each meal, it’s important to consume a variety over the course of a day. Note that taking the throughout-the-day approach will require more planning and general protein knowledge to make sure you’re getting all the protein you need. The nine essential amino acids are histidine, isoleucine, leucine, lysine, methionine, phenylalanine, threonine, tryptophan, and valine. Here is a sampling of amino acids missing from each protein source and the complementary foods that’ll provide them for you. While eating a variety of plant-based food sources is the best way to get all the protein you need, supplementing with a high-quality vegan protein powder can help avoid deficiencies. Look for ones with the fewest ingredients and free of artificial additives. And be sure it contains all nine essential amino acids. 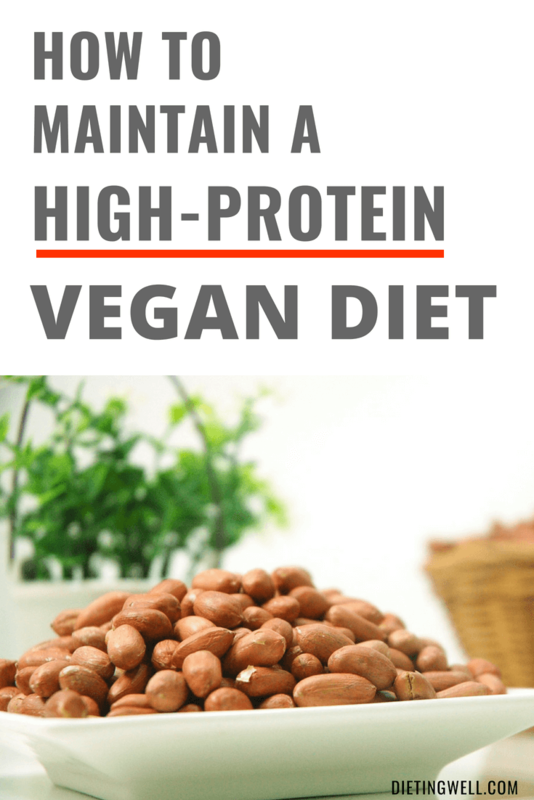 We’ve dispelled the myth that vegan diets do not automatically equate to protein deficiency. While getting adequate protein into a plant-based diet requires more work than its animal-based counterpart, it is doable. Planning ahead with a general knowledge of amino acid profiles and eating a variety of complementary plant-based protein sources each day makes it easy to get enough protein into a vegan diet. Gropper, Sareen S., and Jack L. Smith. 2012. Advanced Nutrition and Human Metabolism. Cengage Learning. “Plant Proteins – Today’s Dietitian Magazine.” n.d. Accessed June 6, 2018. Young, V. R., and P. L. Pellett. 1994. “Plant Proteins in Relation to Human Protein and Amino Acid Nutrition.” The American Journal of Clinical Nutrition 59 (5 Suppl): 1203S – 1212S. I have food allergies that include peanuts, almonds, sesame, legumes including soy, buckwheat and dairy. 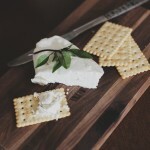 These foods trigger my eosinophilic esophagitis. I eat quinoa and loads of fruits and vegetables as well as eggs. Am I getting the nutrition I need? I also have RA and have been losing weight at a rate of a pound a week, despite how much I eat. My insurance only covers a nutritionist for diabetes. I am concerned about deficiencies and my lower immunity level due to my RA treatment. I am open to suggestions.